Mom's Gone Bronson! : Perfect Breakfast Idea for Guests This Holiday Season! Perfect Breakfast Idea for Guests This Holiday Season! Disclaimer: I was provided with products to test and review with my honest and open opinions. My views are my own and your views may differ. I was not otherwise compensated for this blog post. Thank you! Here is a GREAT idea for a quick and easy breakfast if you have guests staying over during the holidays, and you want to impress them without having to go over-the-top! 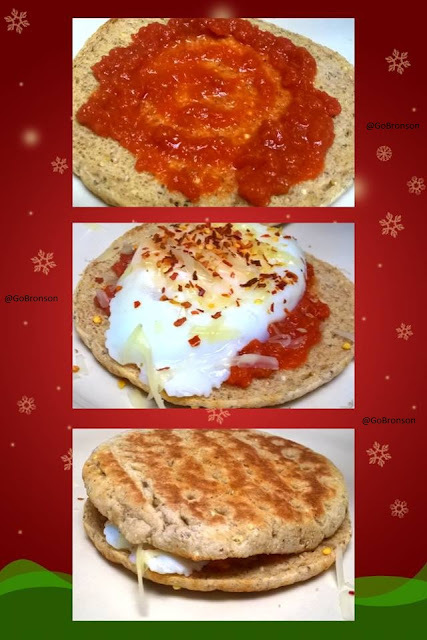 SPICY EGG and SALSA FLAT BREAD SANDWICHES! Note: You can substitute any of the above ingredients, you don't have to have it hot and spicy and you can use rolls or regular bread, too, it really is up to you, but here is how I make mine! First of all, lightly toast your flat bread! I am using Thin Sandwich Rounds from Ozery Bakery. 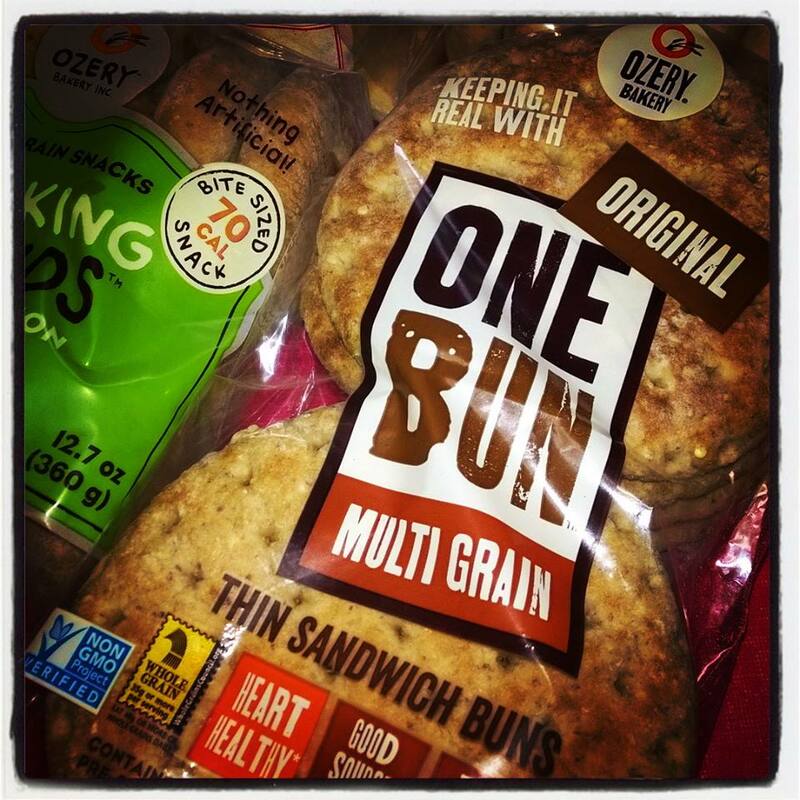 Ozery Bakery is family owned and makes a whole range of delicious breads! The Multi Grain Thin Sandwich Buns are perfect for just about everything you would use regular bread for, especially eggs, in my humble opinions! Once, lightly toasted, you could butter them, but I prefer them as they are. 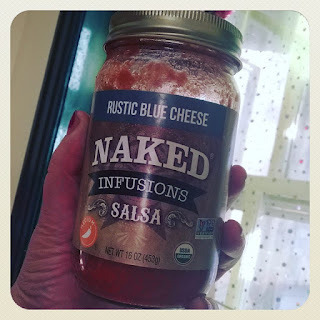 Add a little spicy salsa (I chose Rustic Blue Cheese from Naked Infusions) and then get to cooking yourself an egg! For the egg, I like to half fill a little pan with water, instead of using oil. I let the egg slowly cook with a lid on top to make sure the top of the egg is cooked just as much as the bottom, and what you get is a poached egg that looks similar to a sunny-side-up regular egg. Pop your egg on top of your salsa, add a little grated cheese and crushed red pepper (if you like the heat, like I do) and Bob's your mother's brother, you've got a great breakfast sandwich and all you have to do is add the top piece of the bread or bun and squish down a little to let the egg and the salsa mix it up a bit and it is SO good! You can do this with any kind of egg, any kind of bread, any kind of cheese and any kind of salsa, but this is the way I like it and it goes down very well in our house! For more info on Naked Infusions, please see my blog post for their other flavors! Also, please see my other blog post for Ozery Bakery, too! What are your breakfast favourites? I'd love to hear from you!